A photo from space of the Upper Peninsula and a shining Lake Superior was NASA’s Image of the Day this week. The photo appeared Sunday on NASA’s Earth Observatory website. The photo was taken last year by an astronaut aboard the International Space Station. 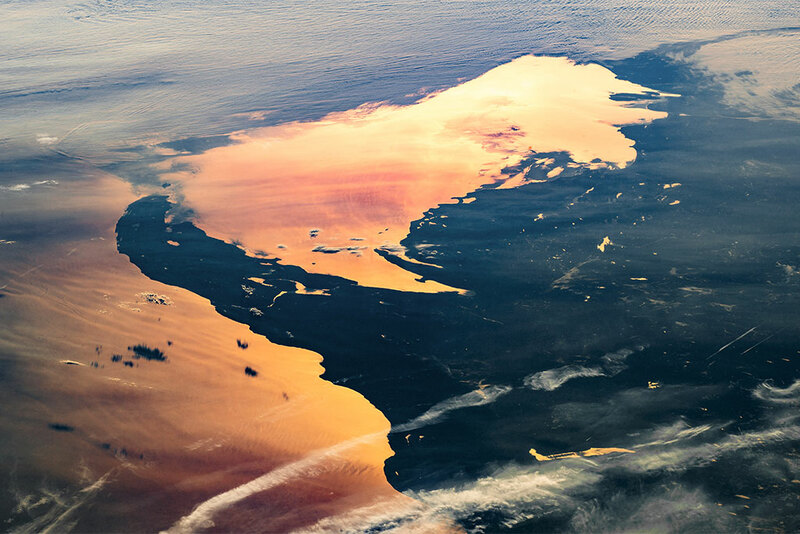 They say the orange glint on Lake Superior and inland lakes and haze in the atmosphere was probably a result of wildfires in northwestern U.S. and Canada at the time. “Smoke particles in the atmosphere can cause the scattering of light waves and create pale orange-red hues at dusk or dawn, when Sun elevation is low relative to the local horizon,” wrote Andrea Meado, Jacobs Technology. The article continues talking about the history of mining and logging in the Upper Peninsula. The photo taken on Sept. 3, 2017 is provided by the ISS Crew Earth Observations Facility and the Earth Science and Remote Sensing Unit, Johnson Space Center. The image was taken by a member of the Expedition 53 crew. Share the post "Glimmering photo of Lake Superior and U.P. taken by astronaut"
Categories: Environment, Featured, and Upper Peninsula.